As she releases her memoir and her first new album in five years, the popular Heartland entertainer talks to The Advocate about her personal life and contemplates what her revelation will mean to her conservative fan base. 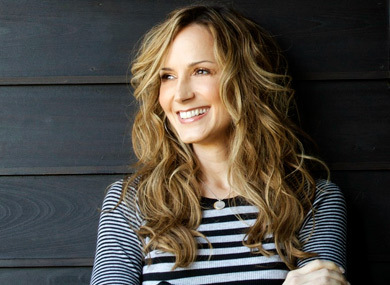 Chely Wright is nervous and she has good reason to be. Sitting down for lunch at a West Village café in NYC, Wright—who is here to give her first interview to a major gay publication—begins by saying,” I’m not sure I’ve ever been this anxious about talking to someone before.” As a seasoned veteran of music industry whose seven studio albums have sold over a million copies, it’s not the prospect of a sit down interview that’s giving Wright the jitters. This is Wright’s first ever interview with a major gay publication, and the first in which she will discuss her decision to come out of the closet. Even in a year already full of celebrity outings, Wright’s emergence as an out lesbian is truly something of a big deal, especially considering the world from which she is emerging. Not only is she arguably the first big name in contemporary country music to come out of the closet, she also happens to be doing so in a very big way. This month Wright will release, Lifted off the Ground, her first new album in five years and the most nakedly heartfelt piece of music she has ever created. Even more surprisingly, she is releasing a tell-all memoir—Like Me: Confessions of a Heartland Country Singer—which chronicles her rise to fame in country music and a candidly details of her lifelong struggle to come to terms with her identity as a gay woman. The book will undoubtedly be a polarizing topic for fans of country music and, even more tellingly, Wright’s own fan base. Raised in the small town of Wellsville, Kansas by conservative Christian parents, Wright’s story of self-discovery and self-acceptance is, for many a gay person, also a very familiar one. As she explains it in Like Me, Wright knew from an early age that she was different and soon came to realize why, but she would spend the next four decades years trying desperately to hide her attraction to other women and praying for god to change her. As her career began to take off, so did the constant, paralyzing anxiety about being found out. Her tenacity and single-mindedness about making it as a country singer seemed to spring, at least in part, from a need to escape an identity she could not accept. The book offers a fascinating glimpse into the mechanics of the music industry, as well as providing a kind of cautionary tale on the debilitating nature of keeping secrets. For Wright, eventually the strain from years of practiced hiding—along with failed attempts at dating men and romantic relationships with women that were ultimately crushed under the weight of secrecy—left her feeling isolated and abjectly suicidal. Despite the expected backlash and the still fraught relationship she has with certain family members, Wright says that the benefits of honesty—and the hope that her own admission might ultimately help others—is helping assuage the fear of what her new future might hold. If there is any justice in the world, Chely Wright will enjoy an even more fulfilling career now that she no longer has to hide her true identity. The songs on her new album are the best and most beautiful things she has ever written and her book very lovingly illuminates what is still a very painful and complicated process for many gay people. While there will certainly be those who are less than thrilled by her newfound honestly, one imagines that a new and unexpected fan base will hopefully open up for her.